Injured in an Accident Caused by Texting or Cellphone Use? Distracted driving is any activity that takes a vehicle operator’s attention away from the road, and it is a very serious problem throughout West Virginia. It is the direct cause of innumerable vehicle accidents resulting in many serious injuries and fatalities. 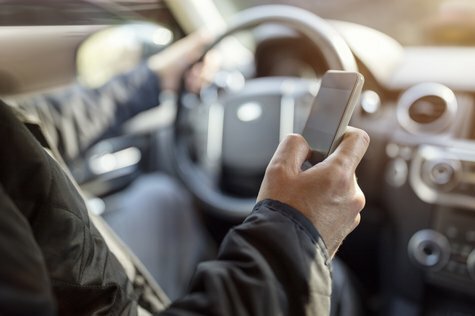 The problem stems largely from the increased usage of mobile devices such as smartphones, cellphones, tablets, and similar electronic gadgets used to text, email, talk, or otherwise communicate while driving. The usage of these items distracts drivers from properly monitoring traffic, road conditions, the presence of pedestrians, and other observations critical to safely operating a motor vehicle. Despite recent legislation that went into effect in 2013 banning texting and emailing while driving, as well as the complete ban of hand-held cellphone usage while operating a vehicle, distracted driving remains a persistent problem. Law enforcement officers are now able to pull over drivers who exhibit signs of driving while distracted, including following too closely and straying over the center line. However, there may be no clues until it is too late. If you have been injured by a distracted driver, Angotti & Straface Attorneys at Law L.C. of Morgantown, WV will assist you by holding the negligent driver accountable for the incident regardless of where in West Virginia the accident occurred. Our goal is to secure the maximum possible financial compensation for your injuries, lost wages, property damage, pain and suffering, and other losses incurred as a result of the incident. Distracted driving injuries and deaths are preventable. Tragically, approximately 15 people lose their lives to distracted drivers per day in the United States, and another 12,000 are seriously injured according to the Centers for Disease Control and Prevention. Aside from texting and using held-held cellphones, the National Highway Traffic Safety Administration also classifies the following activities as “distracted driving:” speech-to-text, eating, drinking, using a GPS system, adjusting the radio, and talking to passengers while driving. At Angotti & Straface, we understand your frustration. Contact our law firm promptly for a free initial legal consultation to review your case: (304) 292-4381. We will promptly begin a complete investigation to seek justice and fair compensation on your behalf. There are no attorney fees unless we recover for your damages. Our law firm represents injured clients in Parkersburg, Huntington, Charleston, Wheeling, Morgantown, and throughout West Virginia.